Ice Cream Sandwich may not be the revolution as expected by many. He would then wait for the version after that will begin with a J …: Jelly Bean? 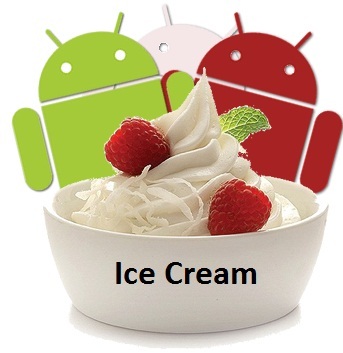 The next version of Android will be called Ice Cream Sandwich and should be released for the month of October or November. Its version number is still unknown, but it should be 3.5 or 4.0. It is expected by many as the last date for smartphones in mid-December 2010. 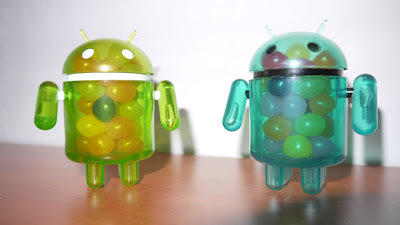 There have been meanwhile Honeycomb (Android 3.0 – 3.2), but only for the shelves and Google TV. The innovations were to rendezvous with a completely redesigned interface. This was clearly a step forward, but unfortunately with all kinds of bugs and lack of optimizations. Over the updates, the effect has diminished, but for many, is still synonymous with Honeycomb beta (version not finalized). The purpose of Ice Cream Sandwich is to bring a wave of freshness on smartphones, but also bring a lot of new (in addition to the shelves together, Google and mobile TV). We are, for example, almost certain that HD screens (with a resolution of 1280 x 720) will be supported. We also saw spreading rumors about adding new features, but this version might not be so revolutionary. According to a source close to Google, all innovative content was postponed to the next version that starts with a J. However, there will be changes in the architecture and appearance. The next version might be called Jelly Bean. Warning, this is by no means the final name. This name means in French the “Dragibus” or jelly beans.